Clients marked VO are hosted at ViaOz.Com. Creators of web sites that are "Phone Phriendly". That is, web pages that can easily be read using mobile phone web browsers. Check out their portfolio (try them from your phone's browser, too). A newsletter published for each Space Shuttle Launch, and sold at Space View Park in Titusville to provide background information on the flight to the tourists that line the Indian River on launch day. A consortium of radio clubs in Brevard County FL, providing the county Emergency Manager a single point of contact when Ham Radio communications are needed for disaster assistance. 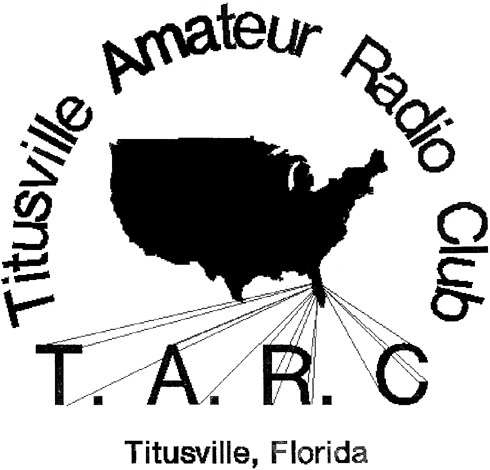 The Titusville Amateur Radio Club provides public service to Titusville and North Brevard County Florida. It is affiliated with the American Radio Relay League, the Brevard Emergency Amateur Radio Service, and provides communications support for our community. The club has seen new memberships due to people finding the website through Search engines, and through referrals by the American Radio Relay League. A consortium of museums in Brevard County are pooling their resources, and establishing a single web site as well. As a volunteer at the Museum, Ozzie helps out by occassionally updating the web site. A membership organization which provides management and consulting services to the Space Industry. A consulting company with "Out Of This World" ideas! We can put a "space spin" on your product, or marketing plan. We were the folks who suggested to the Florida Public Service Commission that the Space Coast of Florida (the countdown capitol of the world) should get area code 3-2-1! Service began on 1999 November 01. The Essential Software Load - Here's where to download the software you need to be fully active on the Internet. A collection of miscellanious, well, Who Z Whats Its that a friend of mine wants on a web site. Who am I to say "No"? A local auto replair shop of more than 30 years standing. Supplier of specialty and welding gases to NASA's Kennedy Space Center, and the contractor communitty. A website for Victor Dahlquest to have a presence on the web. Cheshire was the last editor of TAP, a "phone phreak" newsletter of the late 1970's and early 1980's. He also is a writer for 2600 Magazine, and gives talks at their HOPE Conferences. Cheshire also used to maintain Cheshire's Palm Page. These sites are the artifact of our principle's NASCAR Hobby. Not so much following the races, but having a NASCAR fan website. A very happy customer of Cingular Wireless who likes NASCAR, has set up a "Fan Page" in appreciation of Cingular Wireless' participation in the Nextel Cup. While most Fan Pages follow particular drivers, or race car shops, ViaOz.Com tends to host NASCAR web sites that follow the sponsor instead. Especially if the ad agency involved is Parsley, Sage, Rosemary & Osborne. A Website to keep active as a NASCAR Fan with a "Dot COM" company. 2009 only. As a happy GoDaddy.Com customer, I followed their race car drivers in 2010 through 2012. For "Miffed And Aggravated Females In Action". An artist collective based in Brevard County, Florida. Builders of quality play houses for youngsters, and collectors who are young-at-heart. to submit client web sites to the Search Engines.